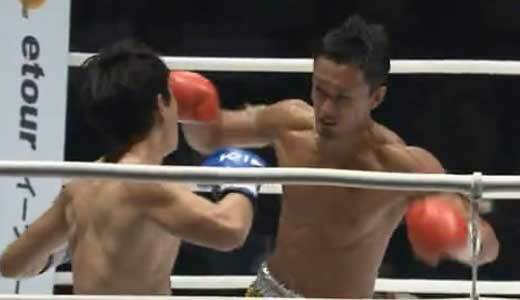 Review: 2012-10-14, astonishing performance by both fighters, amazing pace and one knockdown in the third round: Genji Umeno vs Chan-Hyung Lee seems a classic K-1 Max fight, four stars for one of the best k-1 fights of 2012. Genji Umeno entered the fight with a record of 21-2-0 (he was ranked as the No.9 at Lumpinee Stadium in 2011) while Chan-Hyung Lee had a record of 11-3-1. Umeno vs Lee, superfight during K-1 WGP 2012 Final 16, is on the undercard of Mirko ‘Cro Cop’ Filipovic vs Randy Blake. Watch the video! 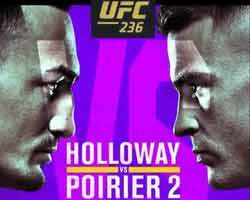 Review: 2012-10-14, fight not very technical but tough and exciting: Raul Catinas vs Ben Edwards gets three stars. Raul Catinas (17-4-0) entered as the No.16 heavyweight in the world while Ben Edwards (34-8-2) entered as the No.20. Catinas vs Edwards, heavyweight fight of K-1 WGP 2012 Final 16, is on the undercard of Mirko ‘Cro Cop’ Filipovic vs Randy Blake. Watch the video! Review: 2012-10-14, pretty good fight between Mirko ‘Cro Cop’ Filipovic and Randy Blake but it is not enough to get three stars. Mirko ‘Cro Cop’ Filipovic entered the fight with a kickboxing record of 18-7-0 while the undefeated Randy Blake had a record of 24-0-0. ‘Cro Cop’ Filipovic vs Blake is the main event of the K-1 WGP 2012 Final 16. Watch the video! Results and Videos of the K-1 WGP 2012 Final 16 in Tokyo.